Hello and welcome to JSB Talks Digital. 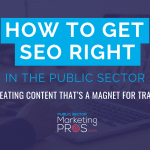 I’m Joanne Sweeney-Burke and this podcast is brought to you by Public Sector Marketing Pros. This podcast series is for those of you working in Government, a public sector body, a publicly funded programme or a semi-state organisation. You are most likely working in a marketing, communications, digital, social media or a senior leadership role and are passionate about digital communications. * I’m talking about the challenge of being a digital transformation leader in your organisation. * I interview the UK’s Met Office Digital Manager, Simon Swan who provides a remarkable insight into how they have become a digitally agile organisation with visible results. 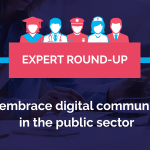 * I’ve also got JSB’s live coaching column, where I share my advice on how to approach digital transformation in the public sector. * The Diploma Deep Dive provides insights why you must transform or die. 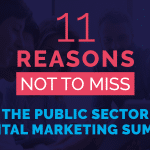 In this part of the show I tackle a big public sector marketing pros challenge based on my work in this field. In this episode, I’m talking about digital transformation and the challenge to get organisational or senior leadership buy-in from a communications perspective. There are 5 main reasons I see this not happening. 5. Learn how the Met Office in the UK had re-positioned itself as the go-to expert for all things weather related. 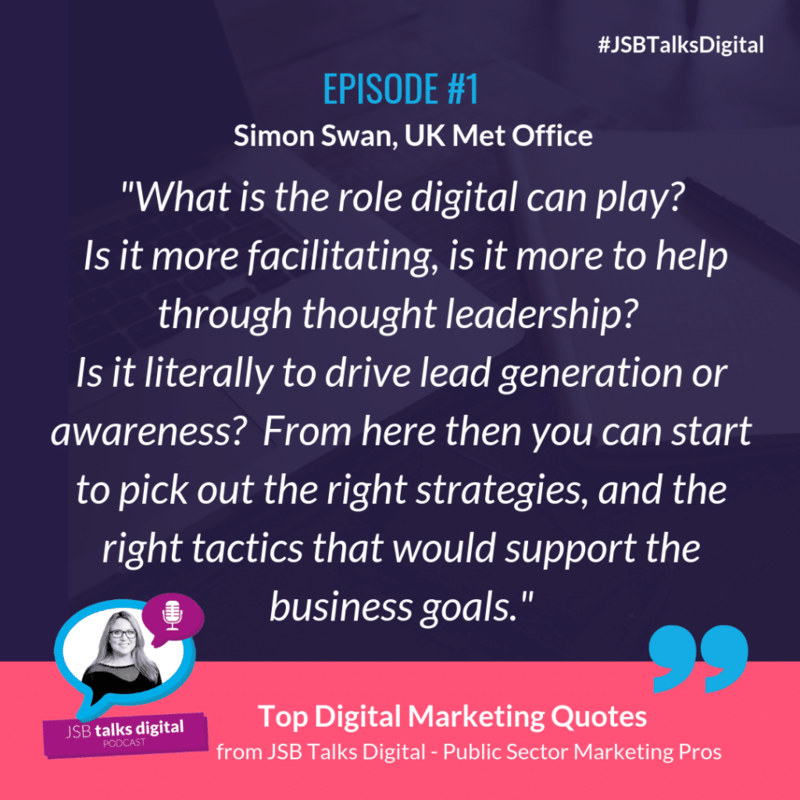 JSB: Simon Swan, you are a digital marketer with Met Office in the UK and a very interesting and insightful case study that I came across from you guys on the whole area of digital transformation. I guess, first of all, give us your backstory and when you joined the Met Office and the level of digital activity that you saw before the transformation process began. Simon Swan: Sure, my background before Met Office was working in the private sector for about ten years. And then I took a move into the Met Office where there was no such digital team at all. So effectively my role was to come in under my manager to look at ways to build the digital team for the organization, which was lined around how do we build our reach for the Met Office? And interestingly we were the first government organization to build and advertise against sponsorship strategies, so how do we monetize that reach back to the public first? JSB: And that's very interesting. Even though you are a public sector organization, there is a revenue objective in that. Do you think that that was the motivation to embrace and to leverage digital? Simon Swan: I think in part, it did play a role. I think also the Met Office realized that the weather sector in general was becoming a lot more of interest. Mainly because of the explosion in technology, access through desktop, through mobile devices, and from very very basic analytics, we could see in the early days that there was a big demand for weather information. And coupled with that, the Met Office is a trading fund, so it has to generate revenue as parts of our position. And like we do with our business to business, our business group activities in certain industry sectors, advertising a sponsorship around digital was seen as just another complementary channel that could deliver some incremental revenue streams. JSB: Now I've read your case study online and you are quoted as saying that, "Culture is the hard bit. You can spend money on finding people with a specific tactical skills, but it's the attitude that drives real innovation." What level of challenges did you come up against when it came to mindset and implementing digital transformation? Simon Swan: Yeah, very interesting question. I think, from my background working in start-ups, digital was the key motivation for what we were doing, in terms of surviving as a brand, as a small organization year on year. In terms of the context around with the Met Office, it's a well-established organization. And digital perhaps for many, many organizations a lot of support internally. But at the same time, you are having to explain and translate in understanding terms to a numbers of different departments and stakeholders the opportunities for digital. So, it seemed very much from a positive point of view, and not necessarily seen as a fearful change. It's more so we positioned it around, how can the wider organization contribute to the journey we're taking down digital. 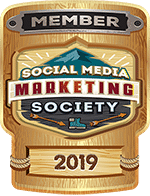 And actually, as a digital marketer, it was a refreshing way to articulate digital to senior management because when you start to talk about metrics, channels, search engine optimization, content marketing to a grander scheme of people within the ... It doesn't mean anything. And quite rightly, why should it? So, you're really having to retain your knowledge but at the same time understand. You kind of have to understand your audience internally as much as you need to know your audience externally. And to understand how to convince as well as support your argument for the need for more resource and more focus on digital. Does that answer your question? JSB: So, weather as a topic online and offline is like a national pastime certainly here in Ireland and I'm sure it's no different in the UK. However, data around weather, as you've already mentioned, is now freely available. And the Met Office as the owners and as the authority experts on all things weather related, is now suddenly finding itself being challenged by bloggers, other weather enthusiasts and the online space. How did you step up and bring that ownership back and say, actually, guys, if you want to know about the weather, come to the Met Office? Simon Swan: Yeah, like you quite rightly say, we've always had a huge authority, trust, and reputation to withhold around what we provide to the UK and global audience, whether that's for the public or for business. But also, there's a growing need and opportunity to educate and for our digital strategy, although the weather market is highly competitive in terms of weather data, what we've found from positioning what we stand for as an organization and going back to our purpose, was that there was a gap, if you like, within this hugely growing market around the what, the why, the where, the when. So, the more informational storytelling around the weather. And really, really interestingly, it’s kind of coincided with the explosion of content marketing. SEO for us is a very key channel to drive our reach. But at the same time, content in terms of its success as a marketing communications tactic, is very much embedded by the authority and the trust and relevancy you have as storytellers within your organization. And we're blessed at the Met Office with many, many scientists from all around the world, observationalists, satellites teams, our weather forecasters. And so they're actually beginning to play a key role in terms of not only how do we differentiate ourselves from a growing competition, but also how do we retain our authority in building on the purpose of what we stand for as an organization. JSB: That's very interesting that you mention the other teams within the Met Office and the other experts. How then did you overcome the problem of silos and scientists and meteorologists not considering their role in communications or digital? Simon Swan: Yes, so that takes us onto a journey where we are now. Over the last year, I launched an initiative called a digital academy. So, the purpose of the academy is, we have four digital principles for the organization. And rather than sticking on a poster on a wall which people nicely see, we try to make them more actionable so my view to the organization was, why don't we build these principles and turn them into an academy? The premise behind the digital academy is to bring in external organizations or speakers to the organization to educate and up skill the wider departments. So, it's open to everyone. I usually run one once a fortnight, and it's very aligned to, like I mentioned, our digital principles. But also, the direction and the focus as we are taking the Met Office. We realize, as you quite rightly asked in your question, digital from my point of view can't win if it sits in a specific silo department. You need the whole organization bought into what you're doing. It's not necessarily them all having to be educated to do key word research or to do the specifics of link building or content marketing but more so that they understand the value and the contribution that they can provide us as a digital team to help us digitally to help facilitate their authority and their content and their information that they might have hiding within their various departments that we can better use to support the strategy to grow our reach and engagement. And so, the academy has been going there for about a year. It's literally gone from a very much start up, I started the idea, I floated the idea, it was getting two or three people to come along but week by week, we're now getting sixty, seventy people per session. Really, really pleasing to see is the people that are coming along are people that aren't necessarily in our digital teams, they're scientists, they're our archivists, they're our forecasters. And it's making actual change now within business. We're seeing teams working together. We're seeing silos slightly being removed, we're seeing the value that we all can provide to help meet our goals and objectives around that. JSB: Let's talk then about the customer or the member of the public that you ultimately want to talk to. And this can be another collaborative stakeholder, the media, or just the citizen journalist. How then did you create those user experiences and that user journey when you were building your digital platforms? If you ask any organization are you customer-centric, they'll probably all say oh yes, we are. But you're only truly customer centric if you build a customer journey that is completely seamless. Was that a difficult process for you guys? Simon Swan: Yeah, it's been a very, very challenging process. It's something that we're spearheading at the moment in our digital team in terms of bringing more to the fort UX, understanding our audience, actually going out to speak to our audience and segments of our audience to understand better how weather plays a role for their needs or for their requirements. But also, it's sort of a 2,000-person organization here so there's so many customer touch points that a user can come into the Met Office and I think it's important to say that, although digital plays a role, you've got to kind of orientate your organization to be market oriented. You've got to understand your offline as well as your online, your customer services, also the types of audience that are coming to the Met Office that don't necessarily want to use digital. They'll want to continue a traditional way to understand how we can value it. So, I totally agree with you, you need to bring a customer to the centre of your strategy. And it's something that's um ... I think that's fair to say it's the next stage and it's a stage that we're better understanding right now in terms of better ... Not only understanding our audience, but again, going back to this education bit, educating our internal teams to think about the customer first, understand the pain points of the audience that we're trying to attract. JSB: How would you describe your digital position now in terms of your digital maturity compared to eight, nine years ago when you started? Simon Swan: I think the key thing is which has been really pleasing for me to see is a strategy that has changed over the last six or seven years. And it's changed because we've had to change in terms of growing competition, finding differentiating marketplace, but at the same time, retaining our authority and trust which we've always done, and continue to do that, being government. But the pleasing thing to see, I think, has been the growth in terms of the team around digital. Making it a lot more important, using in the early days search engine optimization techniques or content marketing techniques or even now UX. Although it was kind of done in a start up mode within the Met Office, it's now embedded within much wider teams, so we have a huge amount of resource now focused on our content efforts or focused on our syndication in terms of how do we share and syndicate our content to other organizations that want to use our valuable content. But finally, I think it's getting that buy in from across the organization and I think the academy is a really, really good barometer because it's voluntary, but when I'm putting out messages and I'm getting organizations to come into the organization to understand and explain in simple terms that benefits are digital, it's getting lots and lots of more people to suddenly wanting to be involved and understand its involvement and keep on returning back. So it's a tangible metric that we can see of the wider organization getting bought into what we've started to do. JSB: And finally, if you had some advice for digital managers who were in your position previously, trying to convince senior leaders to embrace digital for the betterment of the organization and its growth, what tips would you give them? Simon Swan: Good question. I would always start ... If you're doing digital, try and tie it back to the business objectives. Don't think about metrics of digital. So, I'm thinking there of social media metrics or page views or specific metrics to do with a channel. That's a good barometer in terms of maybe your internal team in terms of its development but try and tie ... What is the end goal of the organization? Where's it trying to get to in one or two years? Literally sit down with your, if you can, your CEO, or senior management, and understand, what are their pressures, what are their pain points? And then begin to understand, what is the role digital can play? Is it more facilitating, is it more to help through thought leadership? Is it literally to drive lead generation or awareness? And then you can start to pick out the right strategies, perhaps the right tactics that would support the business goals. What I see a lot from my own reading is that it's very, very easy to jump straight into the digital tactics, to go straight head first into SEO or content marketing or social media. Take some time, understand your market, understand your position, understand that the needs and the wants of the senior management, what they're trying to achieve, and then start to think about, how could a digital plan or strategy support the wider organization but show tangible benefits to what it's trying to achieve? Does that make sense? JSB: Simon Swan, from the UK's Met Office, a really insightful digital transformation case study. Delighted that you have remained so long with the office, and you know, you're seeing their digital maturation because I think that's really important. And so, thank you so much for joining on me on JSB Talks Digital. In JSB’s Live Coaching Column I provide you with how I would approach the problem being tackled in each podcast. So today I answer three big questions. Q1: How can I convince leadership that digital transformation is worth investing in? Q2: How can I set up my team and other departments for digital transformation? 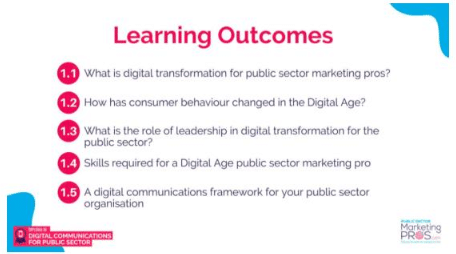 Q3: What’s the skills required for public sector marketing pros in the digital age? Just a few short years ago, communications problems were handled through letters or phone calls. If you had a bad experience with government agency most of your frustration was connected to a single thread of communication. Social media has transformed all of that. Now, instead of sending communications directly to the organisations or individuals involved, you have the unprecedented ability to connect with a wider audience and ensure you’re heard. A single post on your social media page can be seen by all of your fans and followers. Or worse, people who are simply browsing and interested in what other people have to say. Citizens now have a more public voice, and they know it. 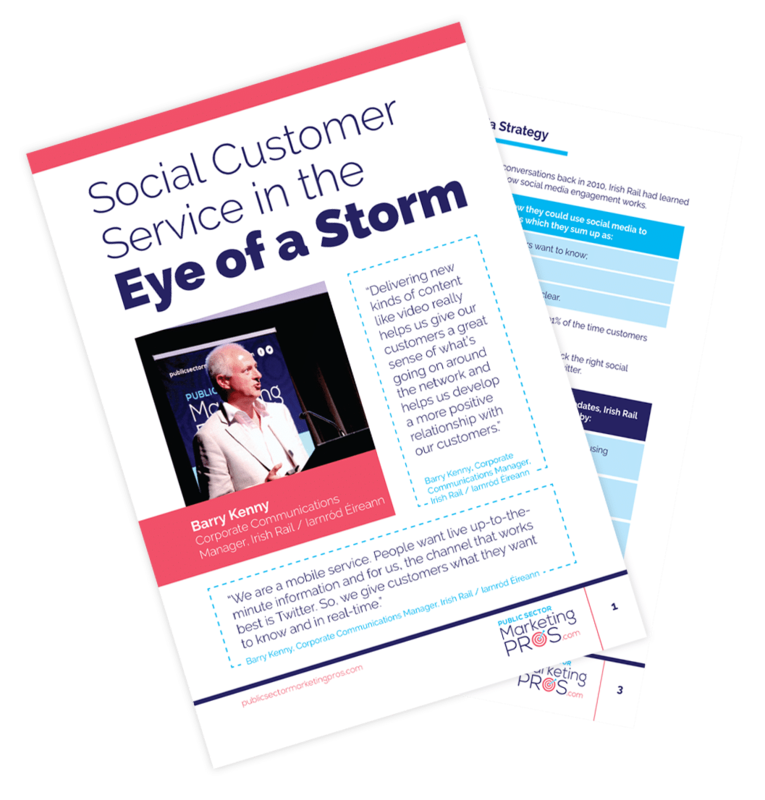 Word of mouth via social posts have become a powerful force to creating a groundswell of support on many public topics and issues far and wide. As a result, communications specialists must be prepared to extend their communications through social media. Simply ignoring a letter or sending back a vague response is no longer enough to put out the firestorm that could be coming, and most citizens know they can use that to their advantage. * Creating a plan to adapt your current strategies to a new digital age, so you can direct things the way you want them to go. * Collaborating and consulting with people who have expertise to help you. * Encouraging everyone to buy in to your digital transformation strategy – including citizens and their pain points, so you can address them effectively. * Using effective tools by using those that are genuinely beneficial to your organisation. * Analysing the skillset of your current employees currently in place, and seeing if the team needs to be upskilled. * Developing a training strategy which will help all members of your organisation use these new digital tools more effectively. If you have a particular marketing or digital communications challenge right now, get in touch and I’ll create a podcast around the topic. You don’t have to come on the show or give me specific internal details, simply outline what the challenge is and what your objectives are to achieve success. Then leave the rest to JSB! Send me your challenge to [email protected] or tweet me to @tweetsbyjsb. In this part of the show I take you behind the scenes of the Diploma in Digital Communicati0ns for Public Sector. 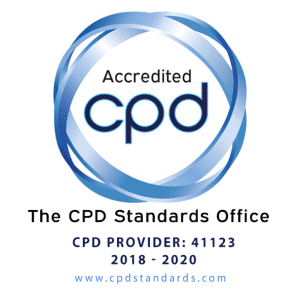 On successful completion of this module learners are sent their CPD certificate. They are even more empowered to lead digital transformation within their organisation. Working with decision makers, they are more equipped to convince them how Digital Age communications has been disrupted and why you should pivot and respond to new consumer behaviour. Finally, learners design a digital communications strategy outline for their organisation which reflects best in class practice. Establishing where your organisation is now in terms of digital communications is key to how you improve and pivot over the coming 12 months. Get your communications team together and design your own outline plan. I’m also offering loyal podcast listeners a 10% discount to the Diploma in Digital Communications for Public Sector. 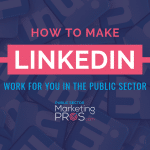 Use promo code PublicSectorPro101 on registration. 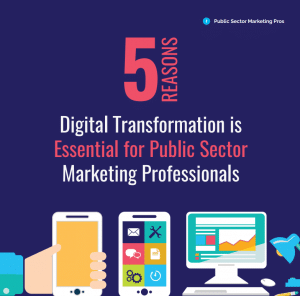 Find out more at https://publicsectormarketingpros.com/diploma/. 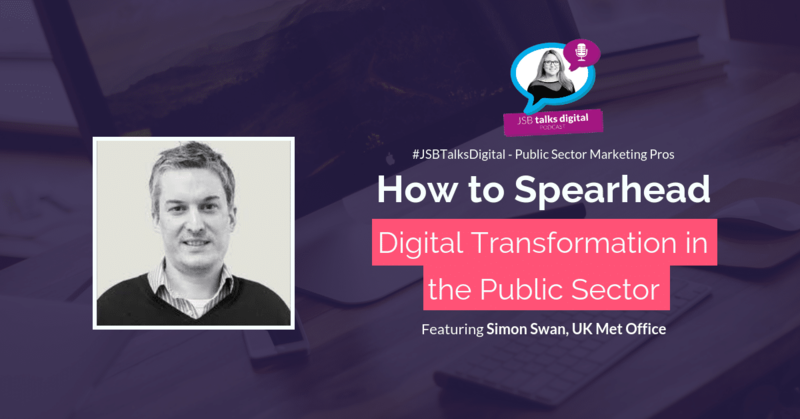 Thank you for tuning into episode #1 of JSB Talks Digital for Public Sector Marketing Pros. 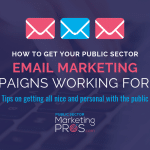 If you want to continue the discussion with your peers, then join our Facebook Group at https://www.facebook.com/groups/publicsectormarketingpros. You’ll be asked to answer a few questions to make sure you are right for the Group. Joanne is a digital marketing and social media consultant, trainer and international speaker. 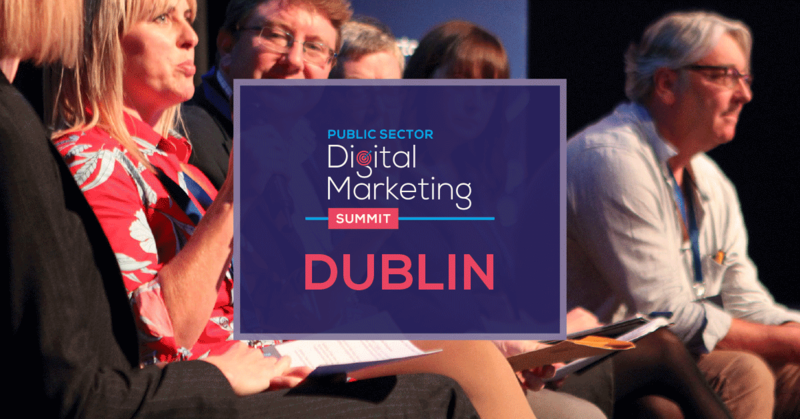 She is the founder of Public Sector Digital Marketing Summit and author of the Diploma in Digital Communications for Public Sector. She is currently working on her second social media book and holds 11 professional and academic qualifications, including a Masters Degree in Journalism and a Masters Degree in Digital Marketing. Joanne hosts a weekly podcast entitled JSB Talks Digital. Released every Friday, Joanne shares her digital marketing and social media insights from her work as CEO of Digital Training Institute.